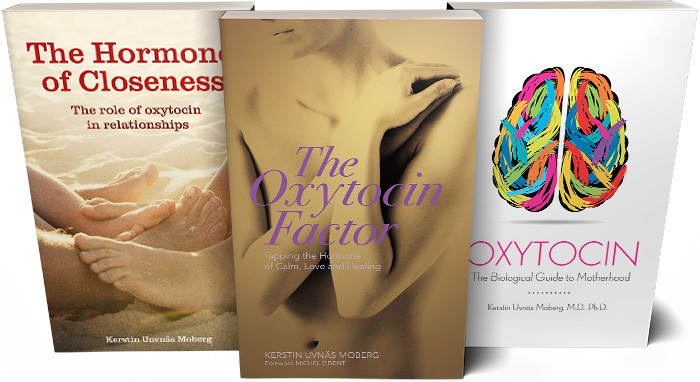 Kerstin Uvnäs Moberg has written several books about the natural hormone oxytocin, and its importance and positive impact on different processes in the body. The books have been translated into several different languages and can be purchased on bookstores online. Download a reference list of all publications Kerstin Moberg Uvnäs participated as author in. Through editorial articles and videos Kerstin tells us more about the positive effects of the hormone oxytocin, as well as research and development of pharmaceuticals based on oxytocin.